Note: The following article originally appears on The Mad Adventurers Society in three parts (one two three.) It has been consolidated and reprinted here with the author’s permission. 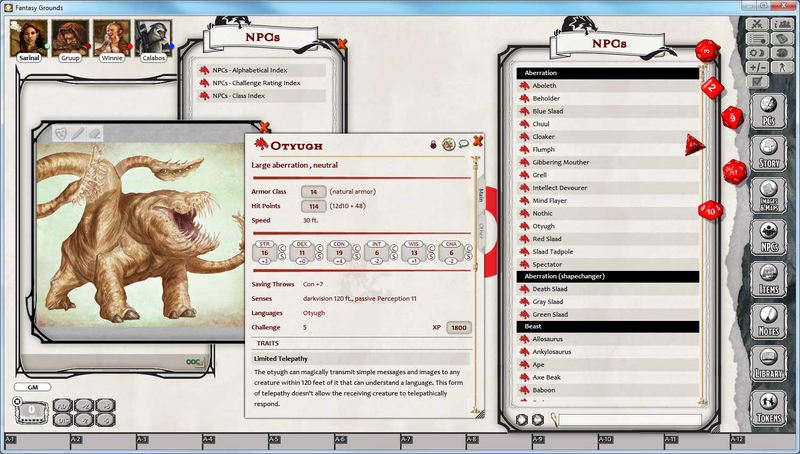 When it was announced a few months ago, I wrote at length of virtual tabletop app Fantasy Grounds and its acquisition of the Dungeons & Dragons 5th Edition license. After that discussion, the folks at Fantasy Grounds (www.fantasygrounds.com) were kind enough to send me a copy of the 5E content for review. I downloaded the game on Steam, loaded the Player’s Handbook module (“Complete Core Class Pack”), the Monster Manual module (“Complete Core Monster Pack”), and the Lost Mine of Phandelver adventure module, grabbed a few friends, and ran a trial adventure. 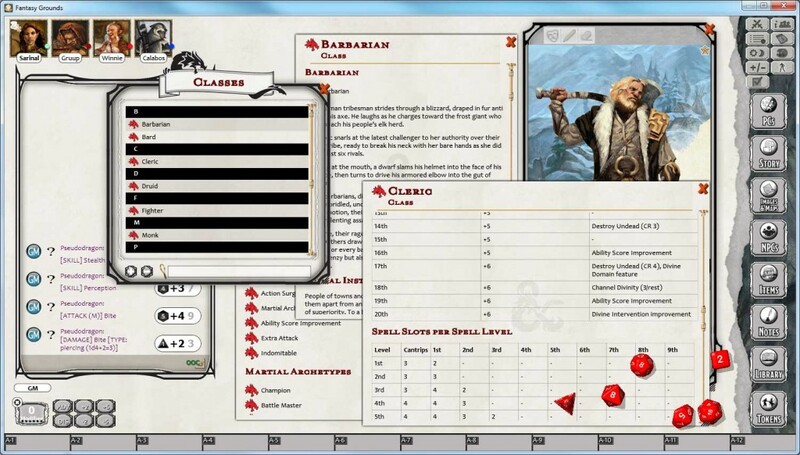 This is a hands-on review of Fantasy Grounds’ D&D 5E licensed content. We’ll start by discussing my impressions of Fantasy Grounds as a virtual tabletop overall, followed by the Player’s Handbook licensed content aimed at players, and conclude with a discussion of the licensed content for Dungeon Masters, namely the D&D Complete Core Monster Pack and Lost Mine of Phandelver adventures. Please note that there are spoilers for the first act of Lost Mine of Phandelver contained within.